In the 1960s, women in both East and West Germany began to fight for equal pay and for the same career opportunities available to their male colleagues. 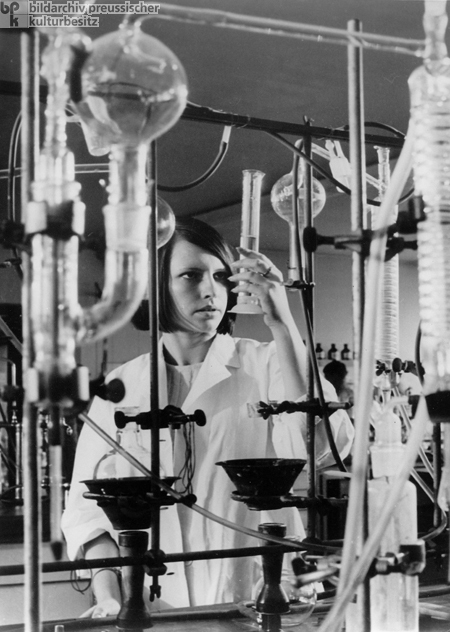 This photograph shows a female laboratory technician in a chemical- and pharmaceutical-industry plant in the Federal Republic. Photo by Gerd Mingram [Germin].